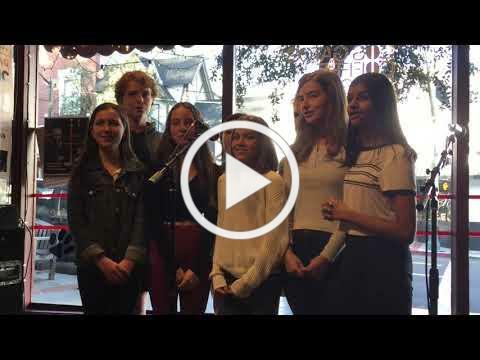 8th Grade Poetry Night @ LG Roasting Co.
Students recited their poems to wild applause. This was extraordinary with a packed house! It was impossible to sit there and not be super proud and completely inspired. Thanks students and 8th grade teachers! Technology Action Team (TAT) met and had an invigorating conversation about appropriate levels of screen time for students. Technology Director Tim Landeck introduced the S.A.M.R. Model and research/concerns about appropriate screen time. Some great ideas for future professional development emerged! 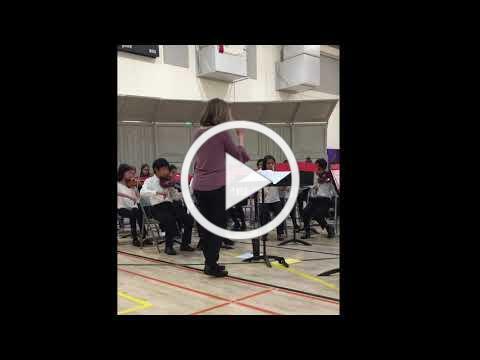 An amazing concert was held at Fisher Middle School, featuring the Fisher orchestras and Los Gatos High School. The music was beautiful, inspiring, and impressive to see the progress the 6th grade orchestra has made this year! 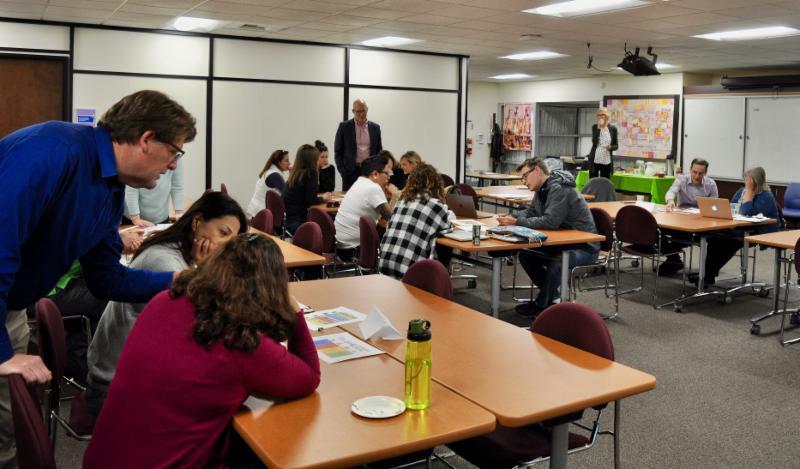 This month, K-5 teachers had the opportunity to attend eight sessions put on by teacher colleagues across the district. This was quality professional development! (Teachers teaching teachers!) 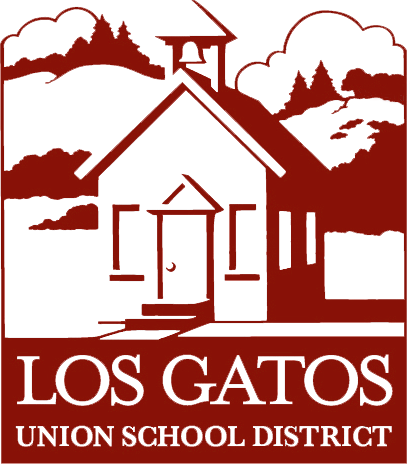 A wide variety of subjects illustrated the unique skill set of LGUSD staff. 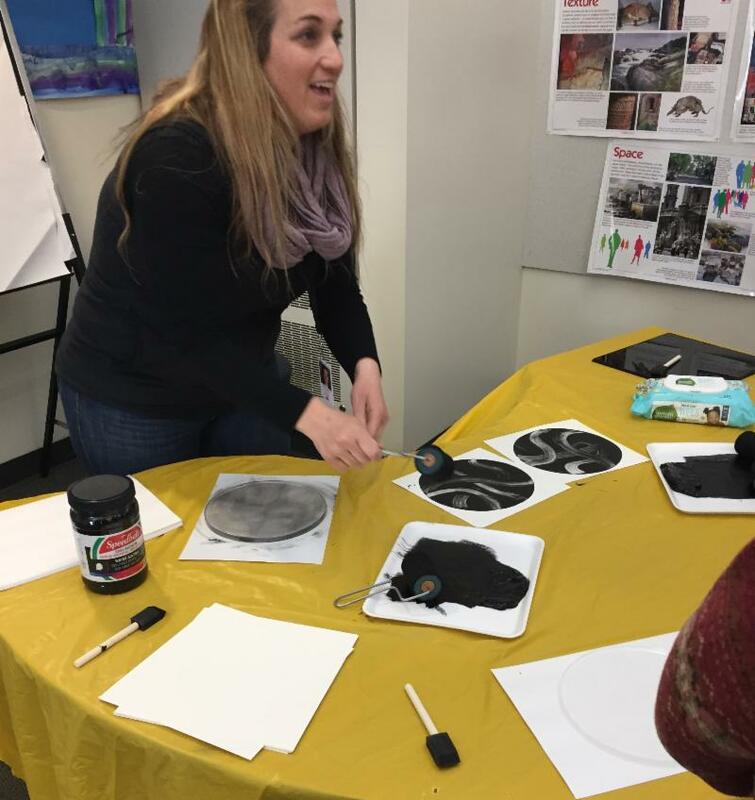 mono print-making to her teaching colleagues. I visited Daves Avenue Elementary kindergarten on one of my morning school visits. 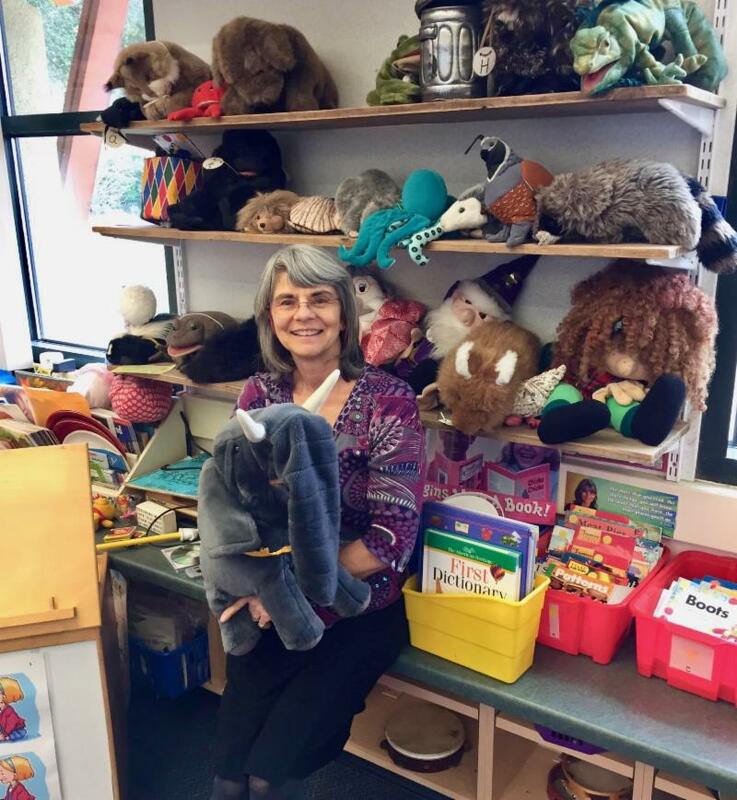 Teacher Karla McCulloch has an amazing puppet collection that she uses to teach letters. Karla will retire at the end of this year after many years of phenomenal teaching. Daves Avenue Elementary 2nd graders provided a performance for parents following a ballet class taught by Los Gatos Ballet. What a great use of Home & School Club funds and a rewarding cultural experience for these young students! 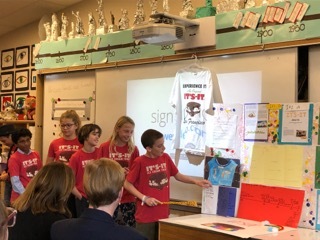 I observed an incredible International Baccalaureate (IB) lesson in Patricia Vaden’s 5th grade class at Lexington Elementary. Students were creating advertising plans for locally selected businesses. Team roles: executive director, copyrighter, graphic designer, commercial producer, and market researcher/publicity director! 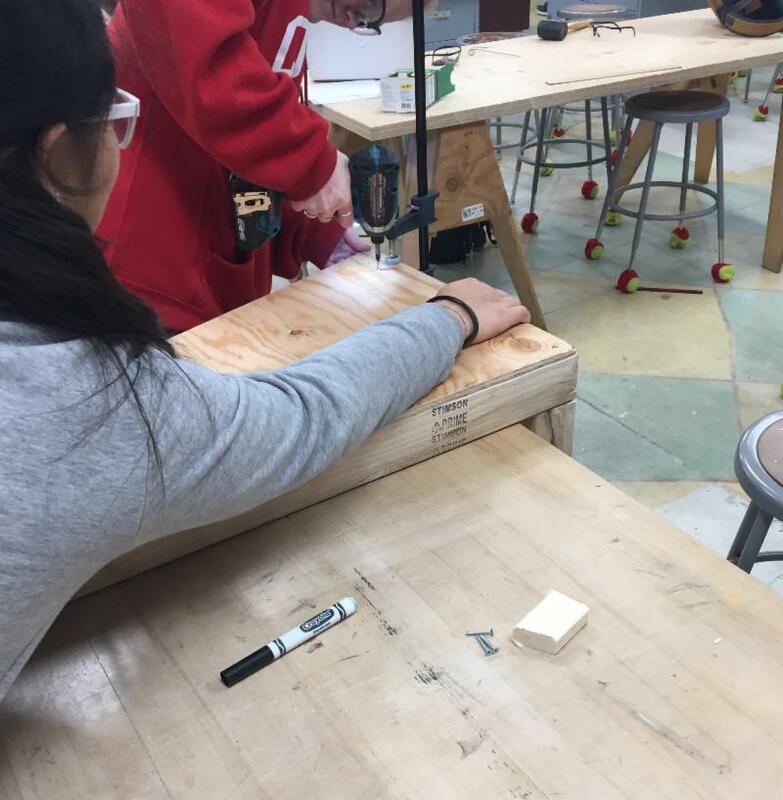 This is project-based learning at its best, which is the core of the IB program. 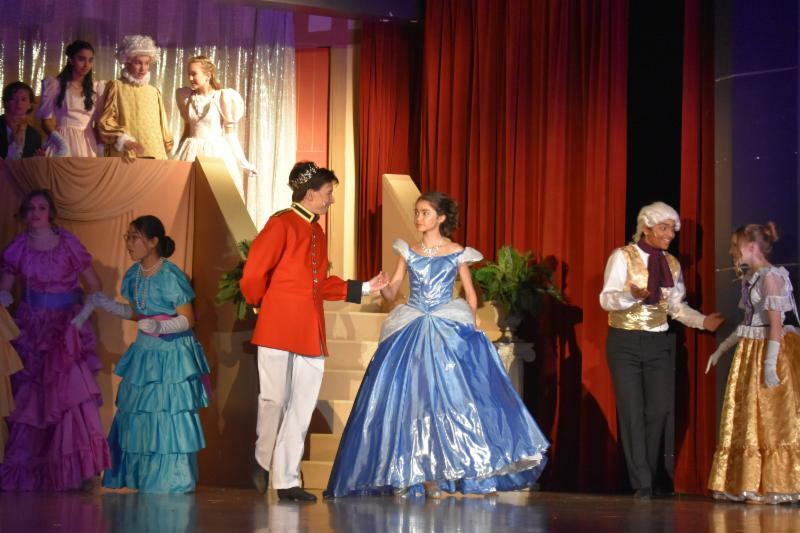 The Fisher Middle School production of Cinderella was outstanding and "way over the top" of what a typical middle or high school play would be. 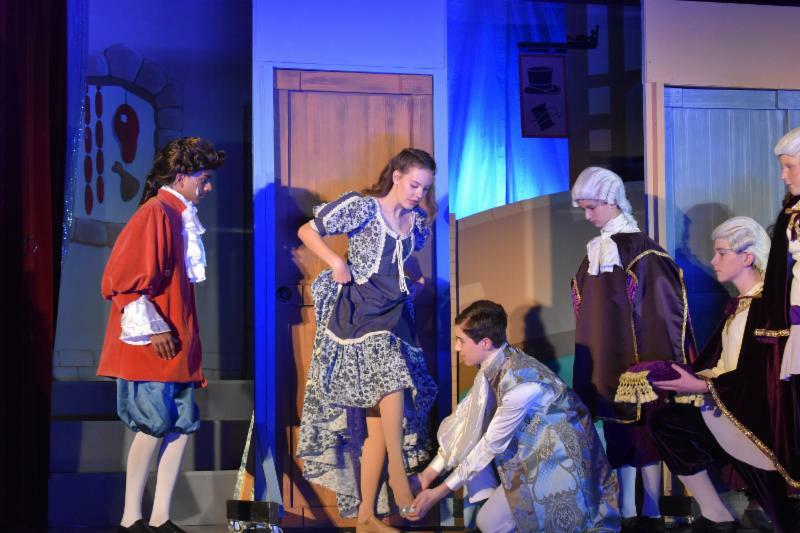 The actors/actresses, costumes, sets, harmonious singing, stage work, and production were outstanding! 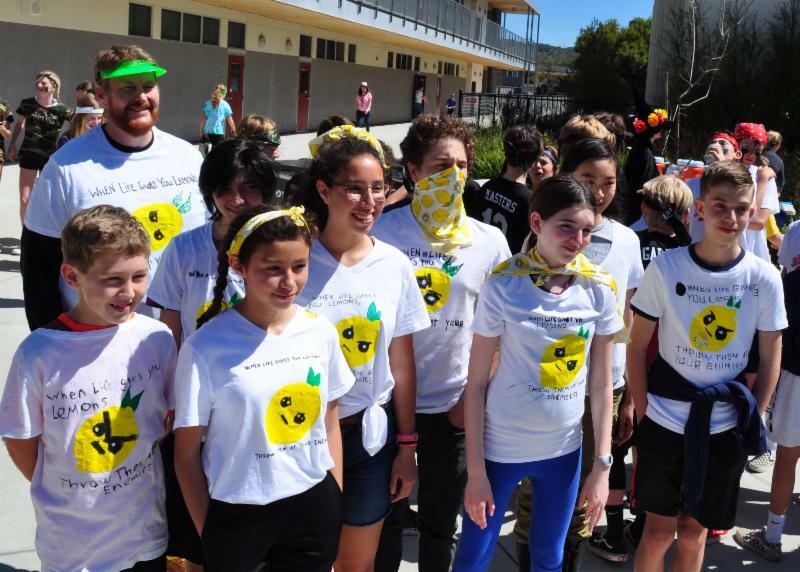 Bravo to our students! 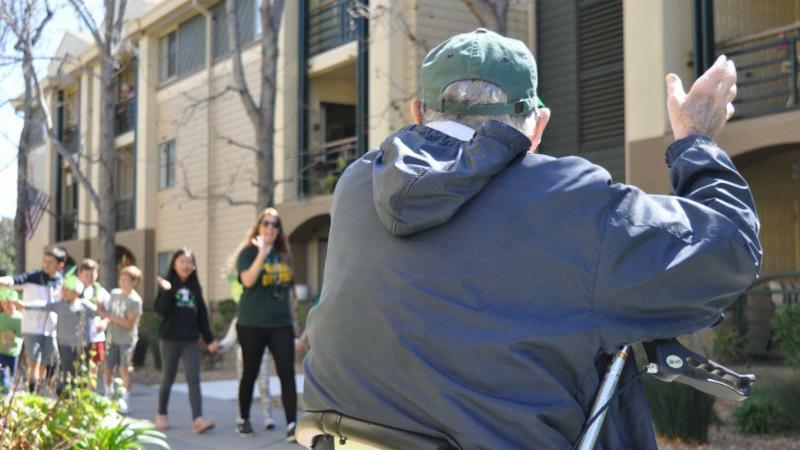 All Blossom Hill Elementary students paraded through The Terraces of Los Gatos to celebrate St. Patrick's Day. 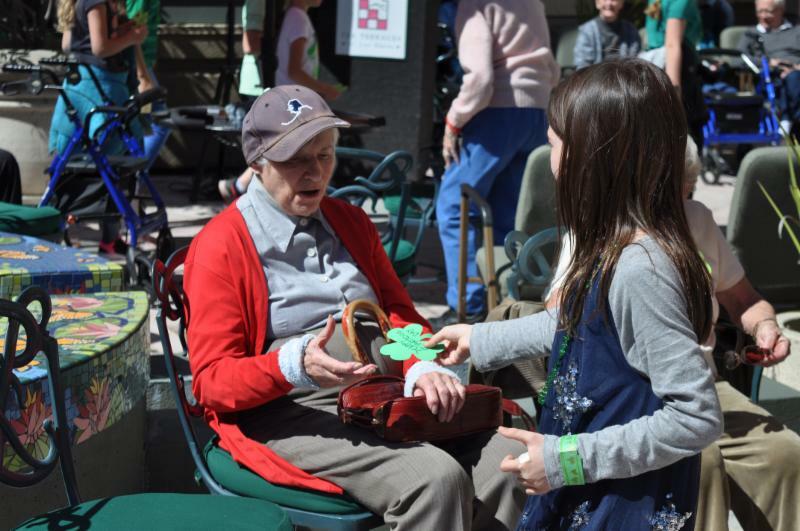 The seniors loved it as the kids wished them a Happy St. Patrick's Day and handed out good luck clovers. This was outstanding community building! 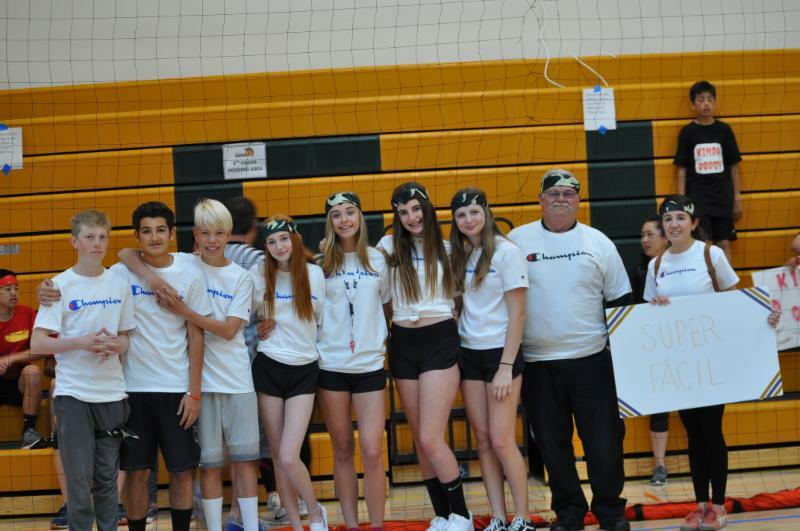 An amazing fundraiser at Fisher Middle School for childhood cancer. 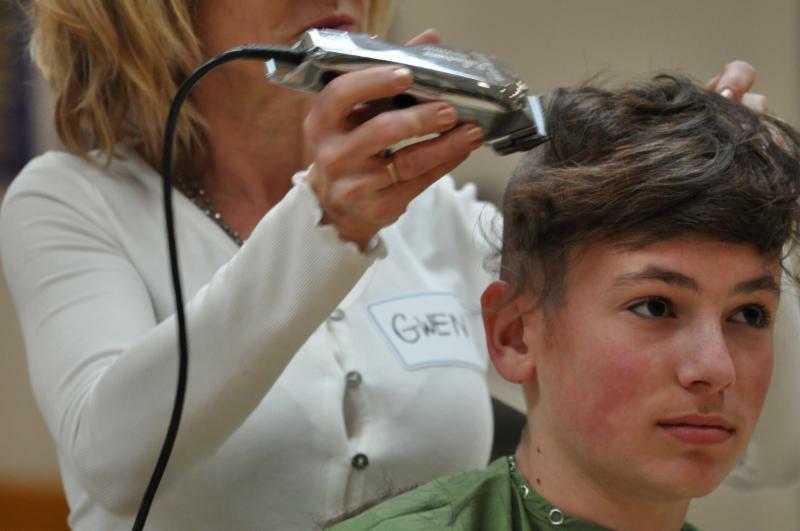 In the last ten years, Fisher students and staff have raised over $300,000 in this program! 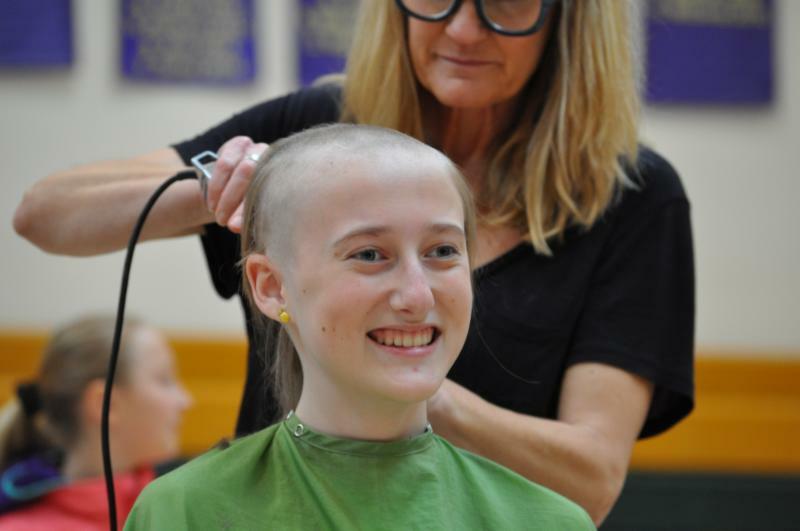 Visit https://www.stbaldricks.org/donate/event/4914/2019 learn more and donate. 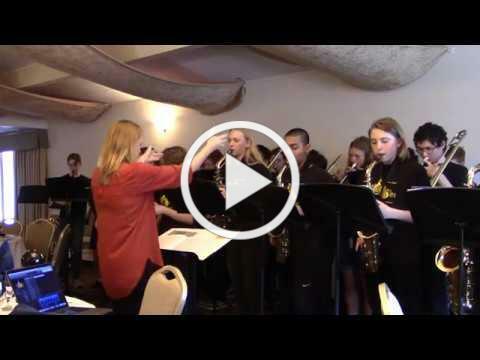 The Fisher Jazz Band performed for the Los Gatos Rotary Club! The quality of jazz music was impressive. It was almost as much fun watching the passion of teacher director Jenny Anderson, as watching the students! 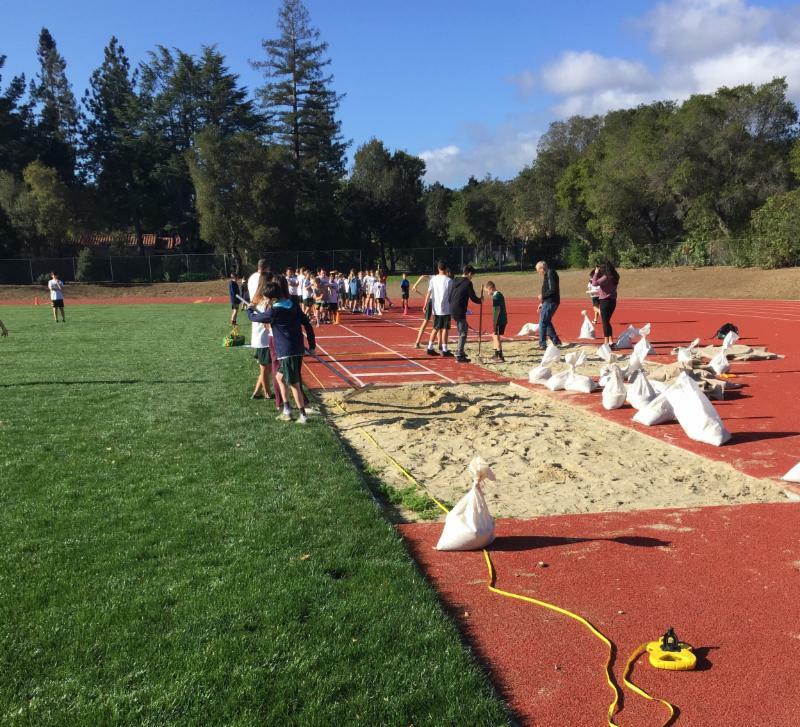 I observed a great PE lesson on Track & Field “triple jump” and “relay baton passing” in Jeff Newman's class at Fisher Middle School! How many middle school students do you know that have a PE complex this magnificent? Impressive! 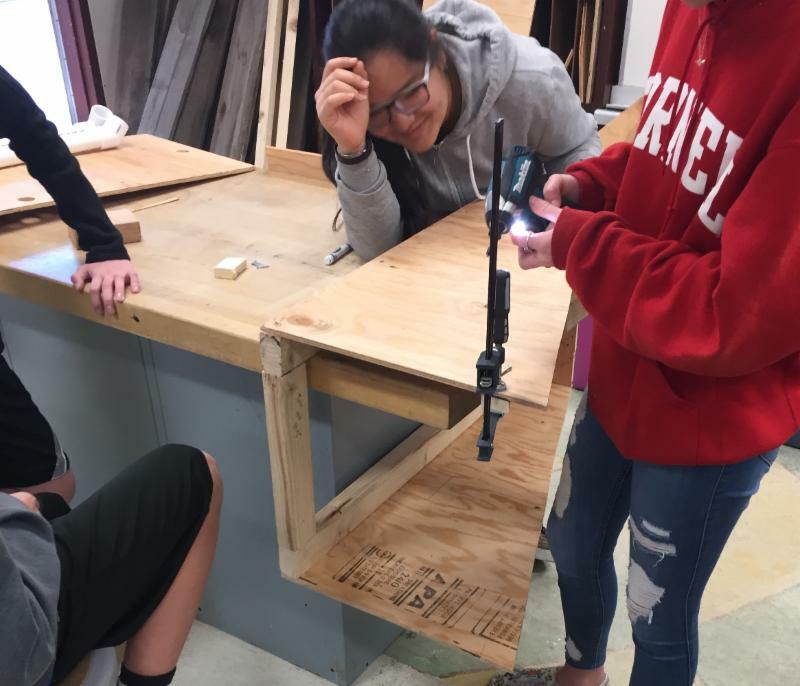 It was outstanding to see a team of girls creating plans and building their own custom pinball machines in Tanya Boyle’s Maker’s Lab! This was impressive meticulous production at Fisher Middle School! 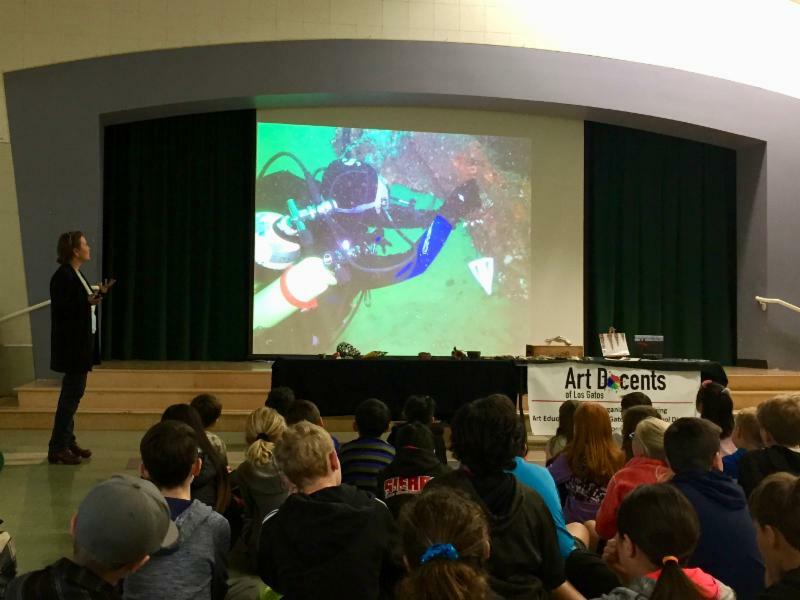 I observed guest artist Jenni Ward share ceramic sculptures she has created and photographed under the ocean! This was very captivating for students and was brought to LGUSD by the Art Docents! 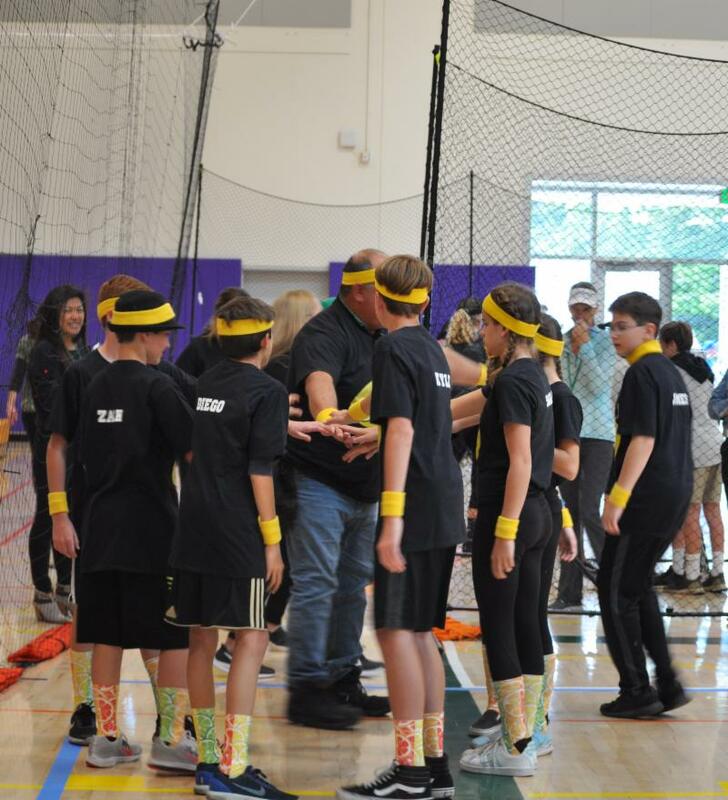 The Fisher Dodgeball Tournament on Friday, March 29th was awesome community building, spirit building and pure fun! Thank you Fisher Home and School Club, staff and parents! School Resource Officer Kimbell Stanley enjoyed coaching his team. Principal Matt Baldwin enjoyed coaching the 8th grade "El-Lemon-Aters." Joe Vega cheers on his team! I wish you and your families a wonderful month ahead!